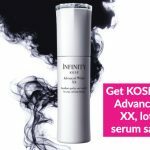 Best anti-ageing facials in Singapore? We review four around town. 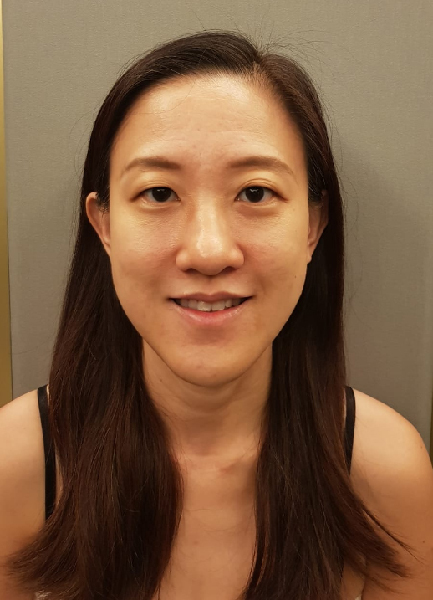 Best anti-ageing facials in Singapore? We review four around town. Anti-ageing facials are only for women in their 30s and older? We don’t know anyone who still believes that. Nowadays, anti-ageing skincare and facials alike have become more and more popular with women (and men) of all ages because of their ability to not only repair existing signs of ageing, but also to prevent more from popping up. It’s no surprise that more and more spas these days are offering anti-ageing facials, but which ones are really the best in Singapore? 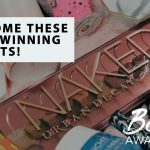 We reviewed four highly rated ones around town as well as hunt down several others to share with you what we think. As a woman in her 40s, I knew that anti-ageing facial treatments are an important part of my beauty routine. 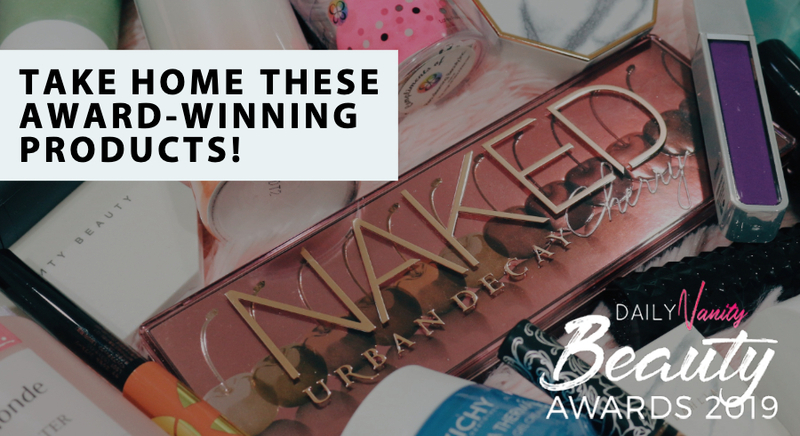 I know that while beauty products are a basic part of the regime, anti-ageing facial treatments from a reputable salon can definitely serve as a booster and give more visible results within a shorter time. I’ve heard about Porcelain and its suite of luxurious and effective facial treatments but never had the chance to visit until now. 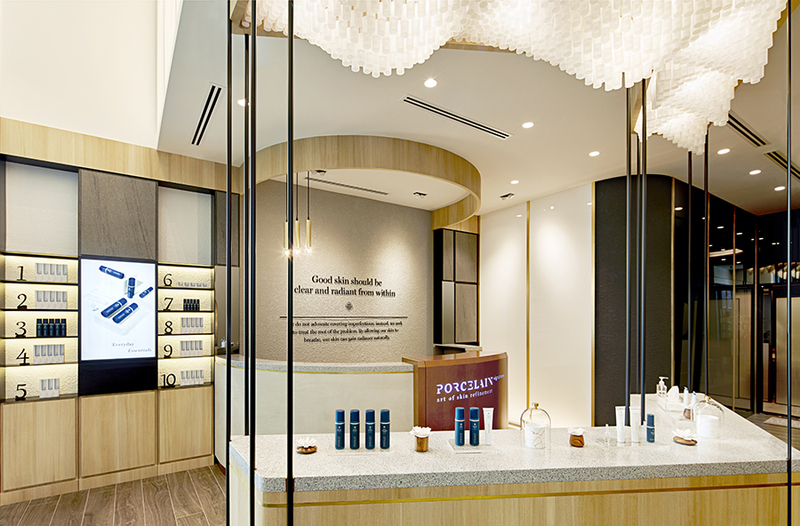 Stepping into the rather new Porcelain Signatures located conveniently near Tanjong Pagar MRT station, I can see why there are so many great reviews about its ambience – and I was about to find out if the facial treatments are as good as what I’ve been reading online. The Proionic Facial Treatment that I reviewed is designed for instant lifting and brightening effects. It uses a unique patented 448kHz long wave radio frequency to produce a proionic effect in the tissue. This action facilitates the movement of ions through cell membranes so that skin’s natural ion balance and equilibrium can be restored. The facial treatment is suitable for all skin types, but results are most visible on those with dull skin tone and if you’d like to achieve firmer and more lifted skin. A consultation is done right before the treatment, where I voiced my concern about whether my dental implants will interfere with the machine. Thankfully, Porcelain’s trainer said that it was okay, and we proceeded with the treatment. After double cleansing, a facial massage to boost lymphatic drainage was done using the INDIBA Capacitive Electrode. A metallic probe was used to massage areas where lymph nodes are located. The Porcelain therapist shared that this step helps “open up” the lymph nodes as we start the treatment, so that lymphatic drainage can be enhanced. Then, RF waves are emitted through the probe and the facial massage continued, with focus not just on my face, but also my neck area. You would feel some heat at this point, and can ask the therapist to adjust the level accordingly. For me, I found it comfortable. As the massage continued, I could feel more stimulation on my skin, as though the waves were going in more deeply. I was told that this step is also crucial for stimulating collagen production. The therapist then put down the probe and did a massage using her hands, which felt really relaxing. The therapist did the treatment on just half of my face just so that I can compare the instant results. 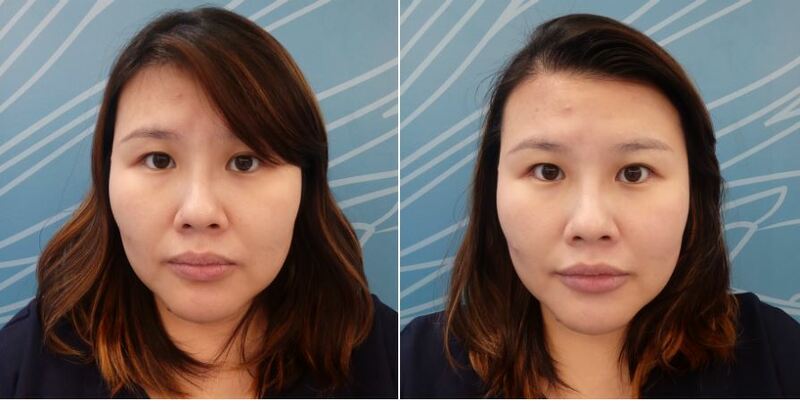 I was surprised to see that I was able to see obvious difference: a more lifted facial contour and plumpness especially around the laugh lines. My eye area also looked brighter and less saggy. After repeating the treatment on the other side of my face, a face and neck mask that was customised according to my skin type was applied on my face. The mask felt pampering and smelt really good! Overall, the whole facial felt like a hot stone massage for the face and it was super relaxing. 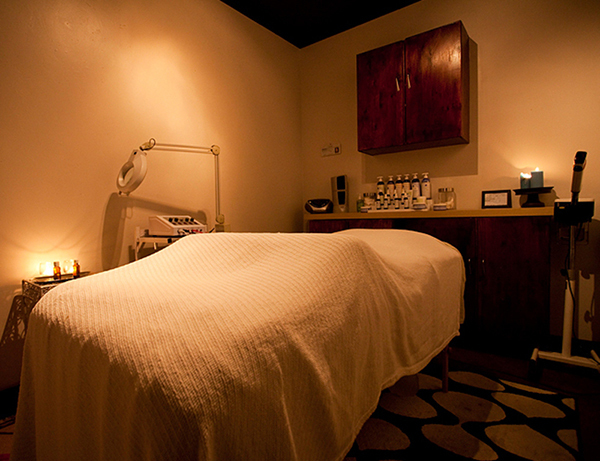 I enjoyed the entire facial, especially the facial massage – it was so relaxing, I almost fell asleep. The brightening and firming effect are also instantly obvious, so I would particularly recommend this facial just before special events such as a wedding, especially since there is no downtime you have to deal with. *The treatment is available at Porcelain Aesthetics and Porcelain Signatures. 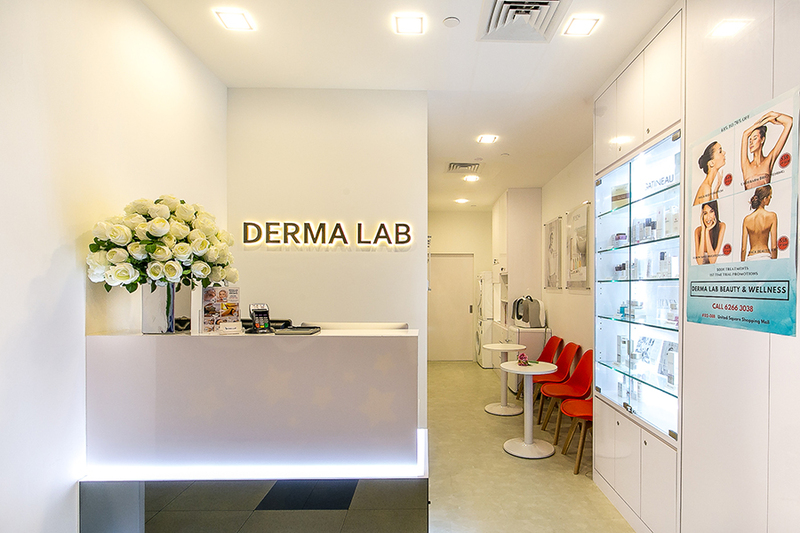 I have heard of Derma Lab before I was given the opportunity to go for this facial, and I’ve also seen their storefront whenever I have had occasion to visit United Square. It has always looked cozy and homely from the outside, so I was excited to see how comfortable their facials would be. I would be doing the Cherry Blossom Skin Rejuvenation Facial, which not only helps with reversing ageing on the skin, but it also closes pores, brightens the skin, and deeply hydrates the skin for a plumper, more supple skin tone. First, I had my skin analysed. I had to put my face into a machine that looked like a light box and closed my eyes as it snapped pictures of my face both in bright white light, as well as in black light. After that, photos of my face appeared immediately on the accompanying laptop. From the pictures of my face, the computer program is able to immediately churn out a detailed analysis of my skin concerns, and even identify some that I wasn’t aware of! 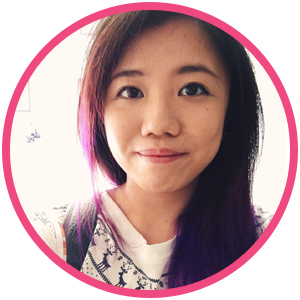 My therapist explained patiently to me what every portion of the analysis results meant, and what I should be looking out for in my skincare routine. It told me that my skin age is 29 years old (not too far from my actual age), and that I was on my way to having more problems with wrinkles than any other concern. 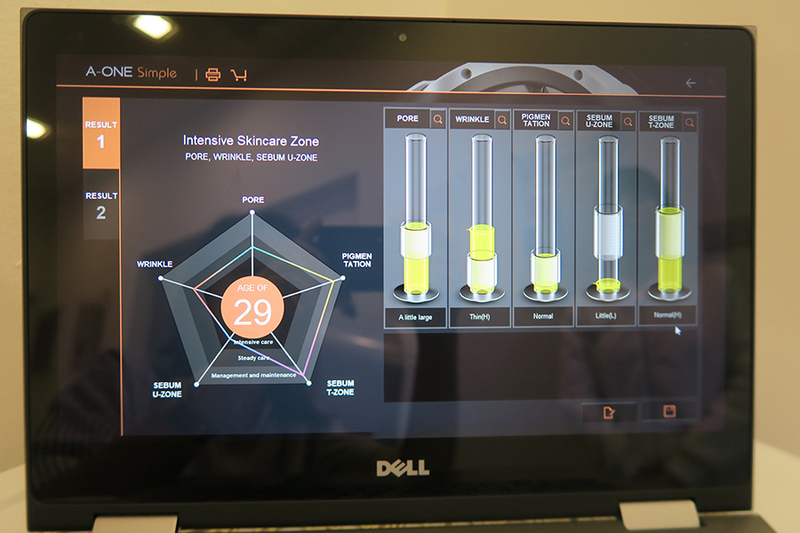 My T-zone sebum production was on the higher end of normal, but my U-zone sebum production was low, so it’d be dry and flakey – a result that I can corroborate! 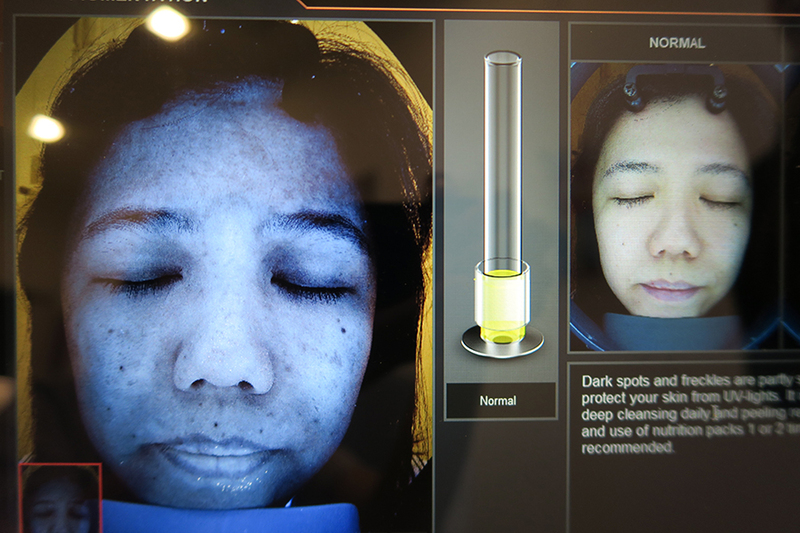 Most shockingly, the machine also showed me pigmentation and dark spots that was happening underneath the skin, which would eventually come out if I didn’t put adequate sun protection every day or do regular peeling. After my analysis was done, I was ushered in to their facial cabin, which was a very cozy two-bedder. The set-up of the cabin was simple but adequate and very comfortable. I had progressively relaxed and was in a de-stressed mode as my facial began. It started with a double cleansing, before a gentle enzyme peel was done on the skin. I think I have pretty sensitive skin which tingles and turns red easily, but the enzyme peel felt completely comfortable. This was followed by an interesting “cold steam” process, which had cool air blowing on my face. The extraction process began. I signaled to my therapist that I had very low pain tolerance and that extractions are typically my least favourite part of any facial. My therapist was understanding, and said she would only help me squeeze out the most dire of my blackheads. All in all, the process was done thoroughly but was over quickly, which I was very pleased with. After this, we began the Lifting and Moisturising Massage specially crafted by Derma Lab. My therapist uses wax infused with essential oils from a candle – yes, an actual candle – to massage all over my face. The wax contains Jojoba Oil, Soybean Oil, Grapeseed Oil, Ceramide 3, Shea Butter, Meadowfoam Seed Oil, and Olive OIl. You can already tell that the hydrating and antioxidant properties of this massage is going to be potent. Don’t worry though, this process never felt waxy at all, and I actually did not realise that she was using ingredients from an actual candle until I reviewed the photographs taken. It simply felt like a very pleasant-smelling moisturising cream. The massage in itself was excellent. I’ve always enjoyed facial massages and I was really happy that the one done here was of a substantial duration, rather than the brief touch-and-go affairs of other boutiques. Next, my therapist used the Cherry Blossom Ampoule, the cornerstone product of this facial treatment. It smelt wonderful as you might expect from such a name, and felt incredibly soothing on the skin. It contains Cherry Blossom Extract for brightening, Sodium Hyaluronate for hydrating, Collagen for skin suppleness, Centella asiatica extract to heal the skin, and Witch Hazel extract to close pores. It’s also worth mentioning that Sodium Hyaluronate is different from Hyaluronic Acid, in that it boasts much more potent moisturising properties. For the next step of the treatment, my therapist applied a Collagen Mask made of Hydrolysed Marine Collagen on the skin. This ocean-derived form of collagen is said to help with the skin firmness and elasticity, while also improving skin health. The mask was left on for about five to ten minutes. Unlike most masks which are simply lifted off the skin after it hardens, my therapist peeled this one gently away from the skin. 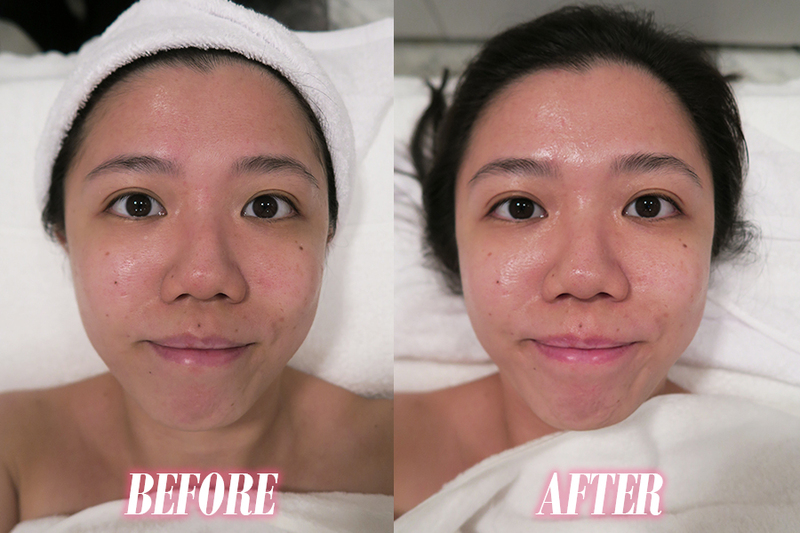 Another round of the Cherry Blossom Ampoule ensued, which would benefit from greater absorption after the Collagen Mask. I was happy to know that I’d be getting two doses of this potent ampoule in one session, which is something pretty unusual for most facial treatments. My therapist then concocted the Cherry Blossom Soft Mask on the spot, made out of Cherry Blossom Extract, Licorice, Centella Astiatica extract, Sodium Hyaluronate, and a blend of powerful antioxidants like Green Tea extract, Rice Bran extract, and Pearl extract. The mask was a jelly-like texture and was quite unlike many other masks that I have been used to. It also had such a relaxing floral fragrance that I drifted off to sleep even before my therapist was finished applying the mask to my entire face. After another ten to fifteen minutes, the mask was cleaned off my face and my therapist then put on a pair of protective goggles for me. It was time for the LED Light Therapy, which is a technology that has been gaining in popularity in recent years. 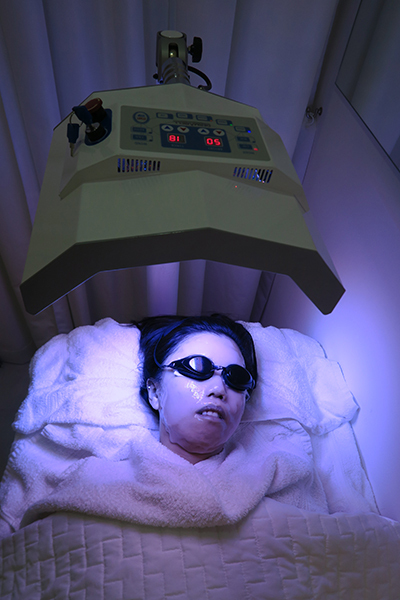 The LED light is said to provide various skin benefits, such as reduce acne, brightening the skin, and to reduce visible signs of ageing on the skin. It was certainly not at all warm or uncomfortable, because none of this woke me up from the slumber I had fallen into! 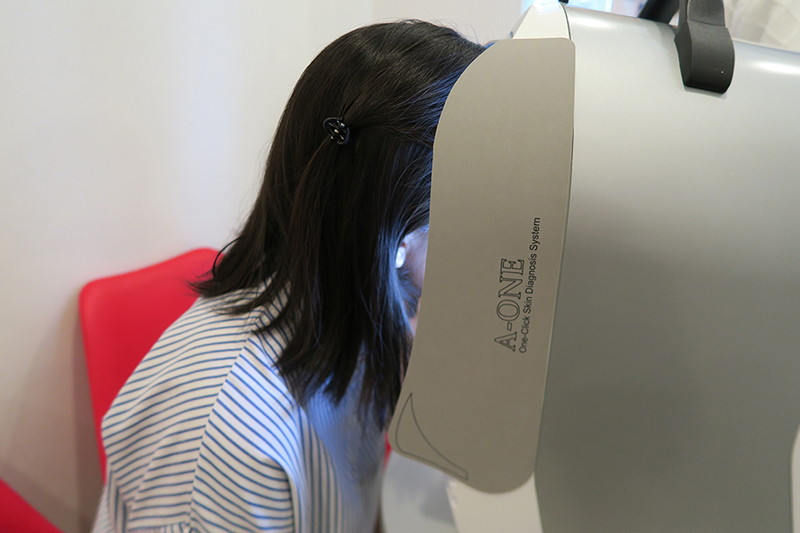 After the LED Light Therapy was finished, the facial came to a close with a relaxing head and shoulder massage, and then applications of moisturiser and sun block. With any kind of anti-ageing treatments, it can be difficult to immediately see results over one session. 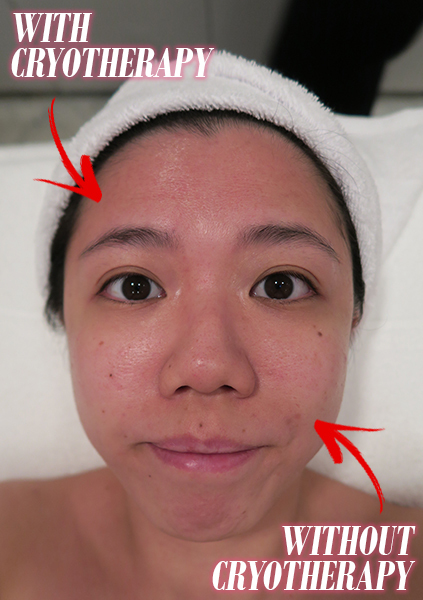 However, I found that my skin did indeed look brighter, clearer, and fairer after this session at Derma Lab. I was very happy with both the process and the results! I’d definitely recommend the Derma Lab Cherry Blossom Skin Rejuvenation Facial for anybody who is suffering from dull, tired skin, who wants to start anti-ageing preventative treatments, or even those who want a trained professional to be able to objectively analyse their skin and receive the most appropriate treaments for their skin concerns. Enjoy this facial at a special price! Most people who stay in the Kovan and Hougang area are familiar with Heartland Mall, and if you go up to level 3 where it gets quieter, you’ll find a respite, that is Celmonze The Signature. 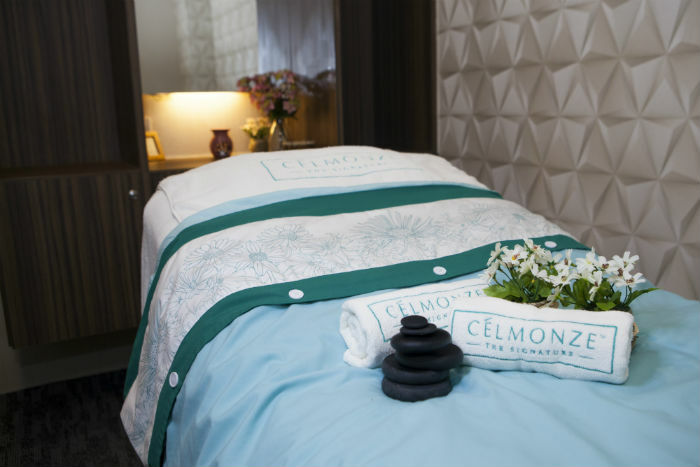 Tucked in a corner to give their clients extra privacy, Celmonze The Signature has a neat and elegant interior design that doesn’t intimidate. While it’s located in a heartland area, Celmonze wouldn’t give you anything less than professional service. 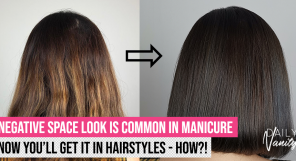 All Celmonze beauticians have to go through three stages of assessment before they could serve you. They pride themselves with well-trained beauticians who provide excellent customer service and are knowledgeable about skincare. 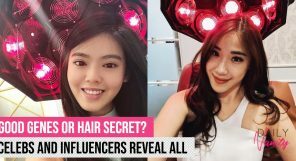 I was there to try out their most iconic anti-ageing treatment, the Caviar DNA Treatment that uses a range of exquisite products from Celmonze’s Caviar DNA range of products. Using products formulated with high-grade caviar that has been used by skincare experts for a long time to restore the appearance of youthfulness, the Caviar DNA Treatment doesn’t use any machines at all, but relies on the efficacy of the products and skills of the therapist to achieve firming and lifting effects, and overall anti-ageing benefits. Not using equipment like radio-frequency also makes this treatment suitable for everyone – including pregnant women. Caviar DNA products used during the facial treatment. After cleansing and toning, my therapist used the Caviar DNA Peeling, a slightly acidic product (pH 4) to exfoliate my skin gently. Unlike other acidic peels that I have tried before, this didn’t sting at all. The action smoothed and softened my skin to further prep it for the rest of the treatment. Extraction is done at this point to get rid of any clogged pores, and I was glad that it wasn’t very painful, and the bumps that I saw on my skin fully flattened out, dried and recovered within two days. Next, my therapist applied the Caviar DNA Imperial Serum followed by the Caviar DNA Imperial Repair Cream. Both of these products work together to improve skin’s ability to renew itself, boost skin’s elasticity, radiance, and to nourish skin thoroughly. 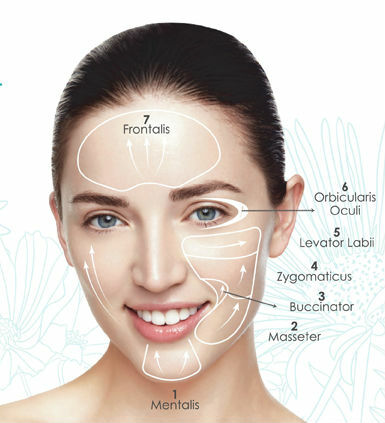 These steps are combined with skilful facial massages that focus on the key seven muscles of my face that will help give it a lifted look. The 7 muscles that are targeted during the massage. After completing just one side of my face, my therapist passed me a mirror and I was able to see an obvious firmness and lifting on the side that she worked on. The treated side of my face also looked less fatigued than before. Then, the Caviar DNA Nutrient Mask and Nutrient Activator was applied. This is a booster that regenerates and re-energises skin further. The mask was slightly cooling and felt very soothing on skin. As my therapist left the mask on me for the next 15 minutes and asked me to rest up at the meanwhile, I fell asleep promptly from the pampering experience that I had. After the mask, the Caviar DNA Concentrate Ampoule was applied to help improve the suppleness of skin. Finally the facial treatment was completed with the application of a moisturiser and sunscreen. 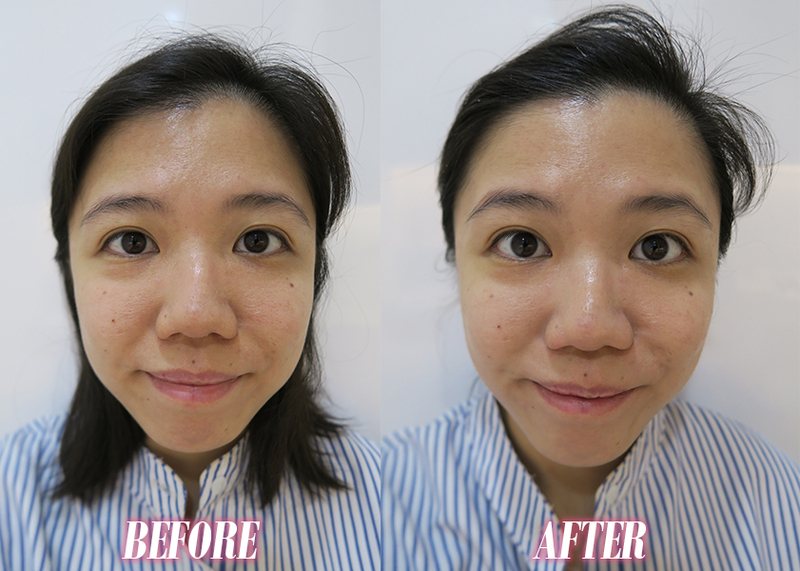 I noticed that my skin looked instantly less tired and my facial contours more lifted. My skin also felt smoother and firmer. I like that I looked more youthful and radiant. My therapist shared that if I keep up with my skincare routine, the results could last for as long as three weeks. A Caviar DNA Home Kit is available at the salon if clients are interested to step up their skincare routine with the same range of products. 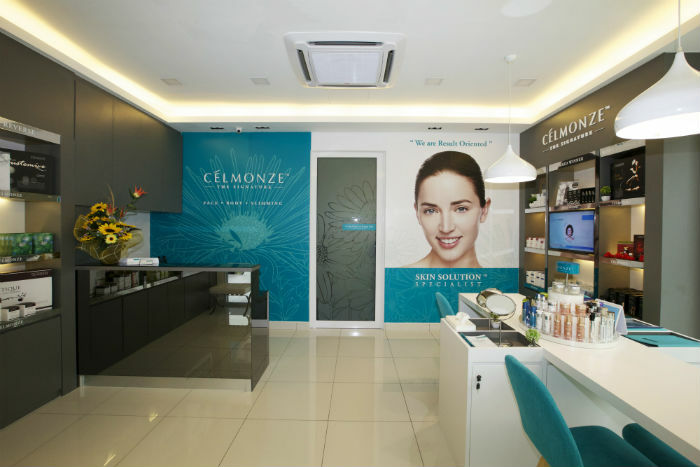 If you’re interested to give this facial a try, the good news is it will be available at just SGD199 (50% off original price of SGD398) for first-time customers of Celmonze. Sign up here to enjoy this special promotion! 111SKIN’s brand story has to be one of the most interesting ones we’ve come across in a while. The skincare brand was started by Dr. Yannis Alexandrides, a cosmetics surgeon from the famous Harley Street district in London, when he found that he needed something more targeted and potent to help with his patients’ recovery process. We’ve talked about their ingredients, literally out of this world, before, so I was really excited to try out their facial services. 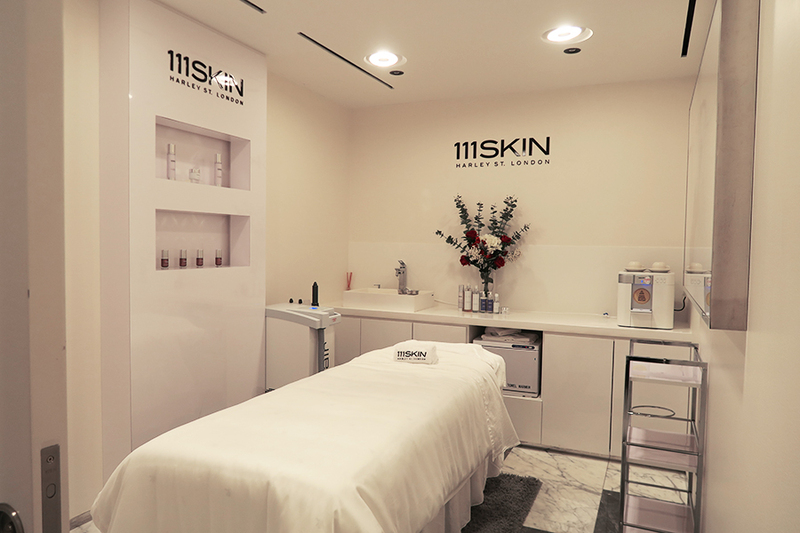 111SKIN has a facial cabin at Robinsons The Heeren, and it’s so hidden that you probably wouldn’t know where it is until their staff shows you to it. 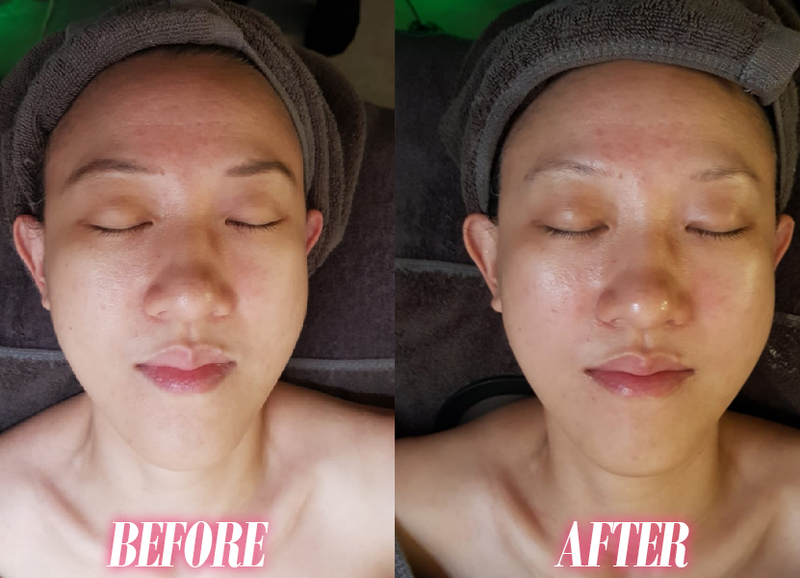 I was due to do the Cryotherapy Energy Facial, which would help to brighten up the complexion, hydrate the face, but more importantly, firm up and tighten the skin. 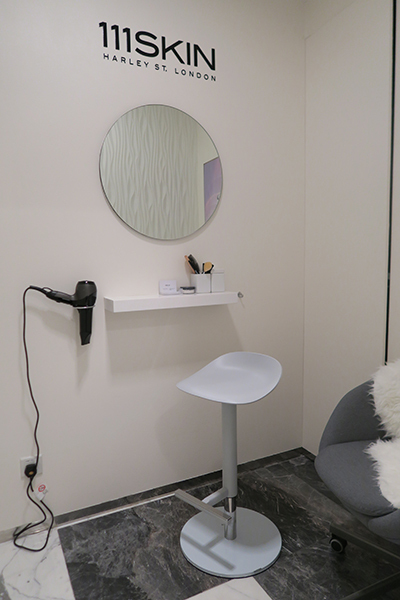 The facial cabin was spacious and there was something about its location, hidden in the middle of a shopping mall, that made it feel really exclusive and luxe. My therapist began with the usual double cleansing, after which she laid a hot towel on my neck and chest. I don’t think I had ever experienced this step before in other facials and I have to say that the sensation was pleasant after the initial shock of the heat. We jumped straight into the portion with the Cryoair machine, which had been already been running in the background since the facial began. Going in, I was curious but also apprehensive – I had never had any experience with cryotherapy and had heard differing stories about how painful or painless it was. I was pleasantly surprised and relieve to find out that the cryotherapy used in 111SKIN’s facial was definitely not of the painful variety. It was certainly cold, much colder than air-conditioning, but the tingle it left on my skin felt like the sort of mild sensation you get if you’re experiencing the spring season in another country and the cool wind is blowing against your face. The machine was applied first to my decollete area, then my neck, before it went to my face. Because the skin on your face is more sensitive than that on your neck and shoulders, this gradual movement of the coldness helped me to brace myself when it was time for my face to undergo the cryotherapy. It was a small touch, but it made all the difference to my comfort levels during the treatment, and I appreciated it. The cooling sensation is, of course, what would help to reduce pore size, brighten the complexion, and tighten skin overall, and this was obvious in the mid-way progress photo I took when my therapist had only done cryotherapy on half my face. The lifting effect from the cold air is also meant to fill in fine lines and wrinkles. 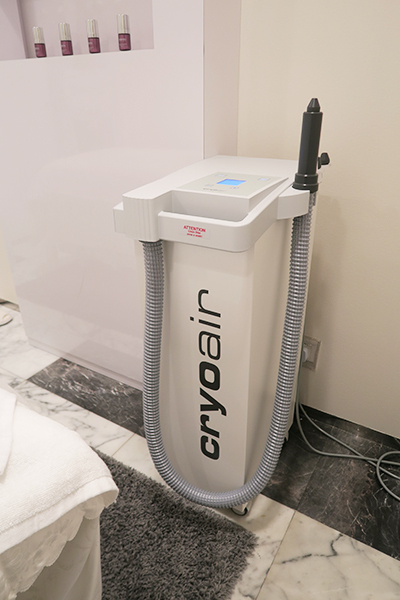 Needless to say, the Cryoair step was the longest part of the facial, as my therapist ran the applicator of the machine in alternating rolling and back-and-forth motions over my face. This was somewhat soothing in its own way, and it never got to the point of discomfort or painful numbness. 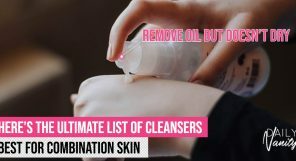 After this, she used a cotton pad soaked with the 111SKIN Daily Orbit Energising Essence, which would help to clean off any remaining impurities and to encourage skin cell renewal. This was followed by the Y Theorem Repair Light Serum, applied with a metal-ball applicator, which supported collagen synthesis and also helped to reinforce the skin’s defences. Things were wrapped up with a Bio Cellulose Facial Treatment Mask, left on the face for 10 minutes, which continues to hydrate and brighten the skin, adding the finishing touches to the anti-ageing effects of the facial. 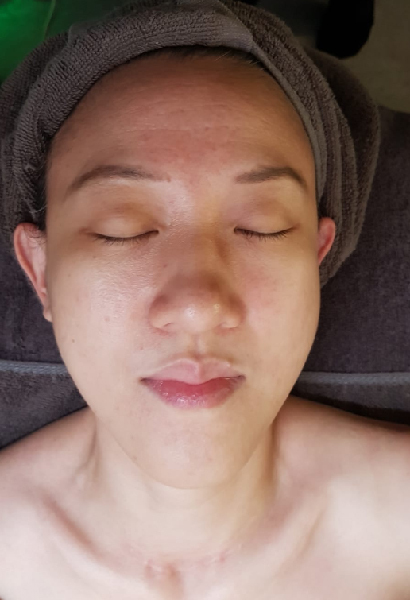 Unlike other facials, I didn’t manage to fall asleep during the masking portion of the facial, but this was because I was enjoying a hand and arm massage done by my therapist during the time. I love any type of massages, so this was a welcome treat! 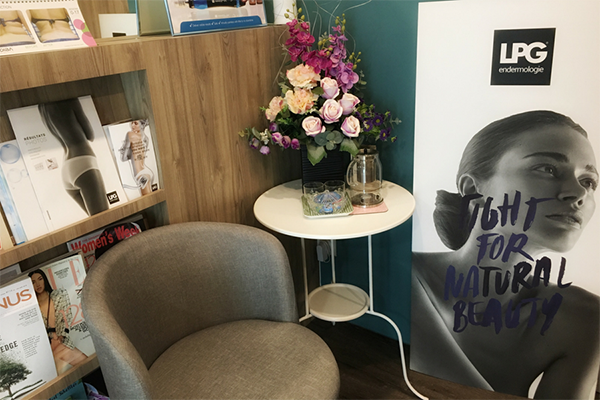 The Cryotherapy Energy Facial was a little shorter than most facials, but it was a convenient and welcome break to have in the middle of a day out at Orchard Road, or if you have some spare time in the middle of your shopping trip. It was extremely comfortable and I could feel that my skin felt physically tighter and more lifted after the facial due to the cryotherapy portion in the treatment. I’d definitely recommend this for anyone to try out, especially those in a rush for time, or who have always wanted to try cryotherapy facials. 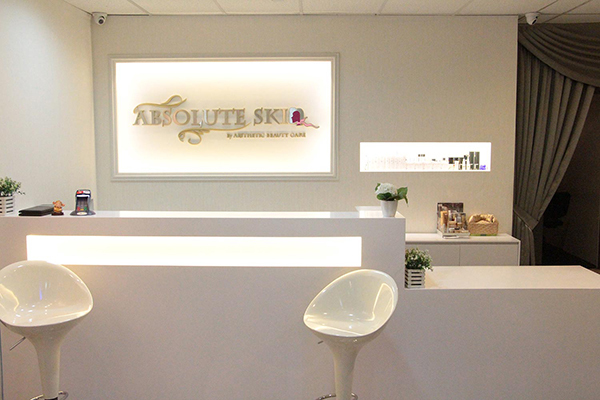 If you’re looking for one of the best anti-ageing facials in Singapore, look no further than Absolute Skin’s Microdermabrasion Treatment. A non-chemical, non-invasive procedure, it helps diminish the appearance of fine lines, wrinkles, acne, and rosacea. Oh, and did we mention that it helps rejuvenate skin all while stimulating the production of healthy cells, collagen, and elastin? Yup, so not only does it help solve current ageing concerns, but it also helps prevent further signs of ageing. A definite win-win! 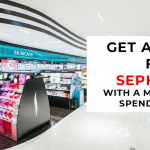 Try it out for SGD198 here. If you’ve started noticing that your skin is beginning to sag and dull, don’t panic just yet— it is entirely natural with age. Still, you can opt to prevent and delay this with Beyond Beauty International’s Cryo Lifting Facial. A treatment that works to lift and firm the facial contour, trust us when we say that you’ll emerge with cheekbones and a jawline that is as sharp as glass. It also works to reduce pigmentation and wrinkles, leaving behind radiant, luminous skin that appears years younger. And isn’t that exactly what we’re looking for when it comes to great anti-ageing facials? 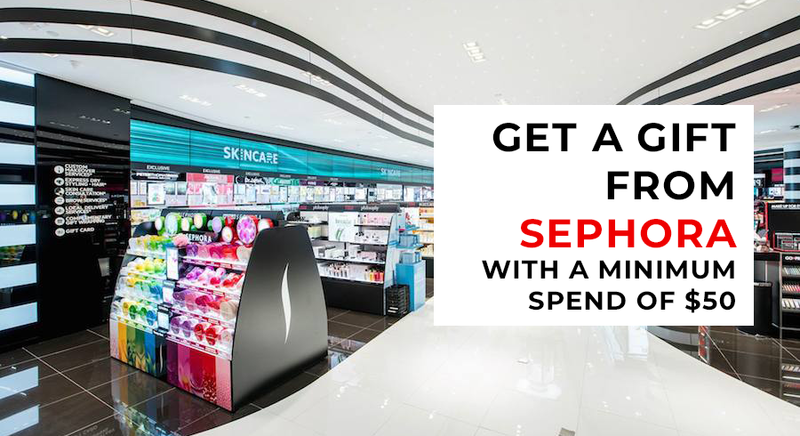 Normally, it costs SGD388, but you can now try out this facial at just SGD48! Score this amazing deal here. Address: For a full list of outlets, click here. Tel: For a full list of contact numbers, click here. 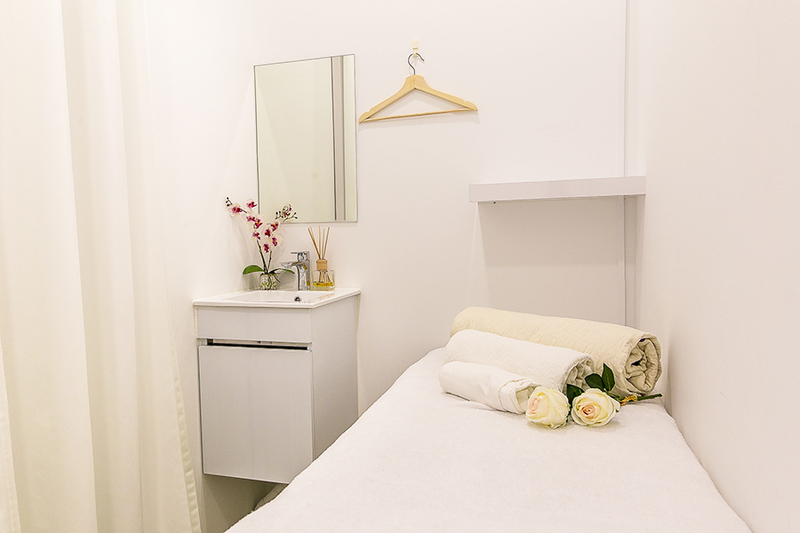 An industry pioneer with more than 25 years of experience in the beauty industry, Chez Moi De Beaute is known to have one of the best anti-ageing facials in the market as of late. Called the INDIBE Anti-Ageing Proionic Facial, this facial lifts, firms, tones, brightens and regenerates skin to produce collagen deep within your skin to give you a perpetually youthful, healthy complexion. What’s better? 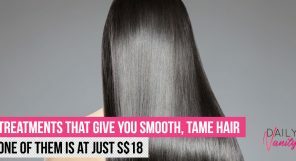 You can try it now at a discounted rate of SGD180, which is more than 50% off their usual price! Say what?! Yup, click here to try it. 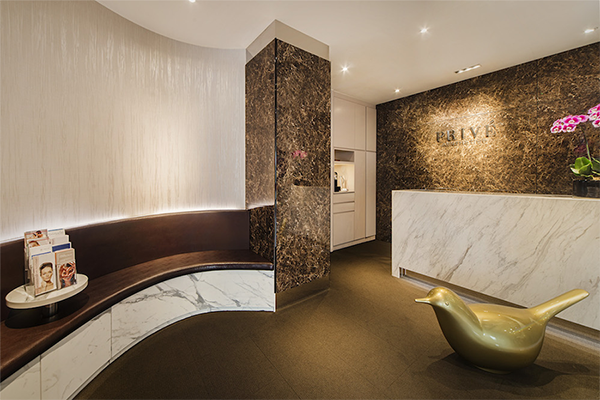 Unless you’ve been living under a rock somewhere, you’re sure to have heard of Prive Aesthetics. 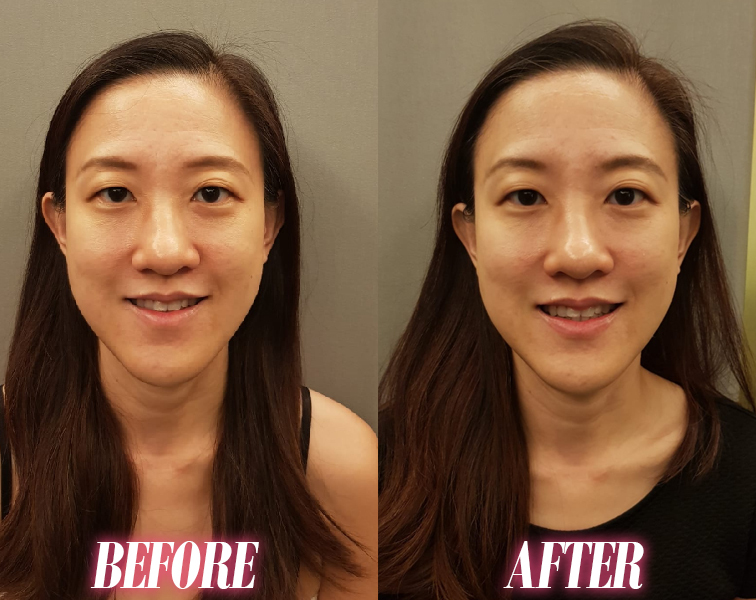 A one-stop award-winning medi-spa offering expert solutions for your skin, body, face and hair needs, it also happens to have one of the best anti-ageing facials in Singapore: the Prive Aesthetics Instant Face Lift with Elite. 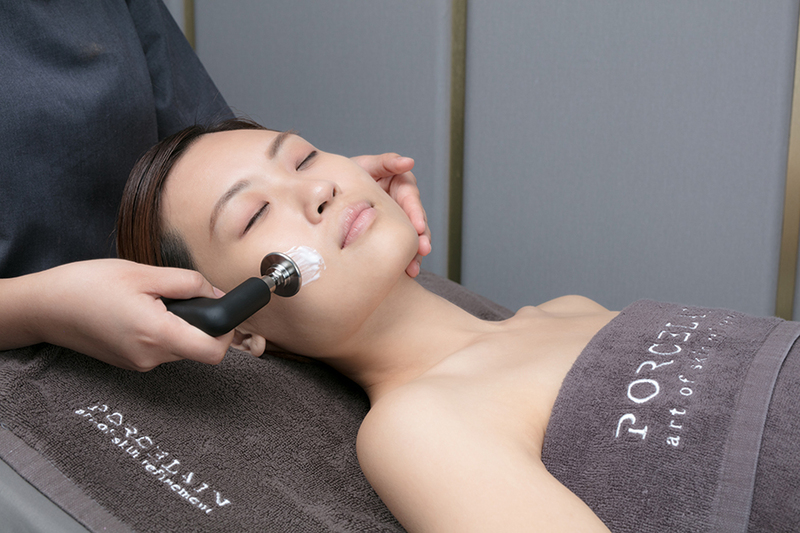 Utilising patented-focused RF technology, this facial heats up skin as well as stimulates and strengthens the collagen network to reduce wrinkles. It also treats skin laxity in a safe and efficient mode, making it highly effective on aged, fatigued skin. 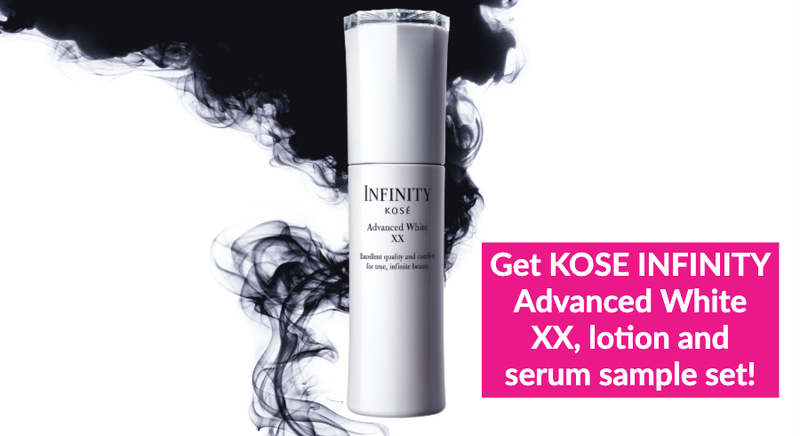 This premium treatment usually costs SGD600, but you can now get it at SGD288. Click here to redeem the coupon for it! 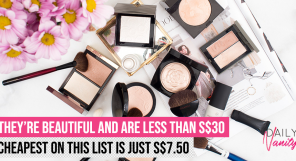 And click here if you want to see even more deals from Prive Aesthetics.